Decor your Home with fabrics, Bright cushions for festive look, decor with curtains, drapes for windows and etc. An array of fabrics made from Flax (Linen) & blended with Silk / Cotton / Viscose etc. Linen is an expensive textile it has a long staple thus its usage is high. Apron, bags, towels (swimmers, bath, beach, body and wash towel), napkins, bed linen, linen tablecloth, runners, chair cover, men's and women's wear are few made from Linen. 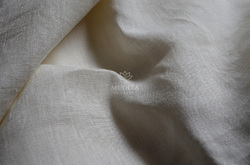 We export high quality linen and is available at an reasonable prices. We export it to countries such as Europe and Russia.